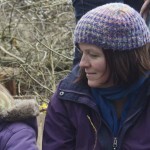 Clare Day lives in Bath and is one of the 5x5x5 artists. The Arts Strategy and the theme of ‘Elements’ have allowed for inclusion of a diversity of artists and ideas, and will I feel result in artworks that are both accessible and innovative. The challenge for me was to make work for an outside space, something quite tricky due to the nature of my ceramic work. Casting some pieces in bronze is something I have wanted to do for some time so it has been a rewarding process. I have also enjoyed the site specific element of the brief, and both of these aspects will have a positive impact on my future practice. My proposal is to make a series of simple pebble forms that are placed in holes in the stone retaining wall. 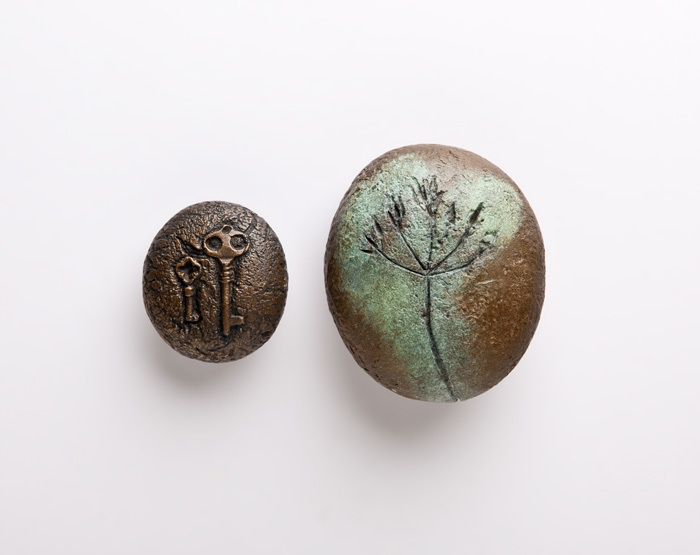 Each pebble form will be cast in metal, from a mould made from an original clay sculpture. Each form will have an imprint that relates to a different element of the site, either its history or present day elements from the riverside setting. My aim is to encompass geological, natural, human and industrial elements. I feel that my work fits well in small spaces in a big landscape; finding a small sculpture for instance in a long wall being rather like finding a special stone on a beach. I am especially keen to make work for a site that surrounds social housing or communal space, as I believe that art should be for all. I am also interested in the idea that art which is ‘of the landscape’ should fit back into the landscape, I like the idea that plants will grow around the pieces in cracks in the wall. The installed pebbles can be seen in the gallery.